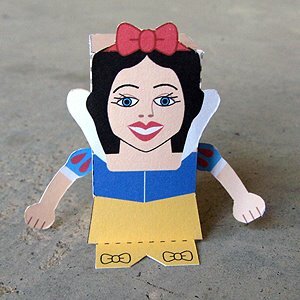 Snow White is the title character of a fairy tale known from many countries in Europe, the best known version being the German one collected by the Brothers Grimm. The German version features elements such as the magic mirror and the seven dwarfs, who were first given individual names in Disney's Snow White and the Seven Dwarfs (1937). Download the PDF file here!